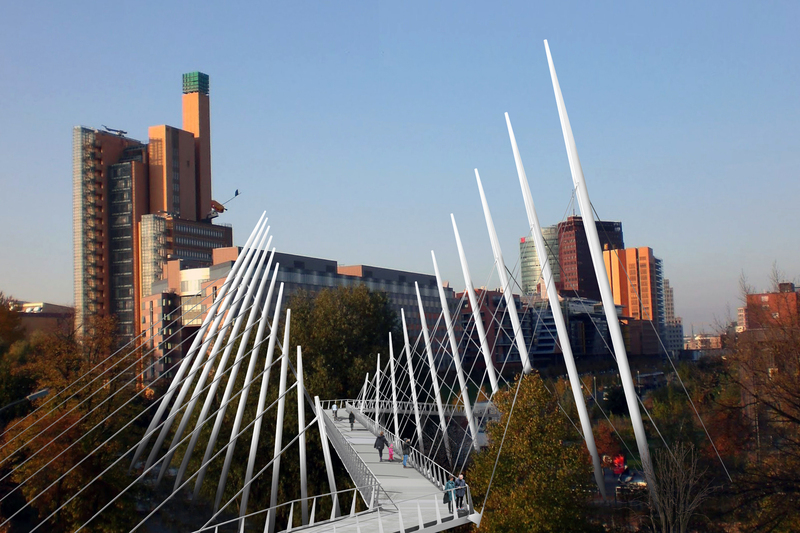 BEaM prepared designs for this footbridge as part of the proceedings for the Footbridge 2017 in Berlin conference at which Keith Brownlie was a keynote speaker. 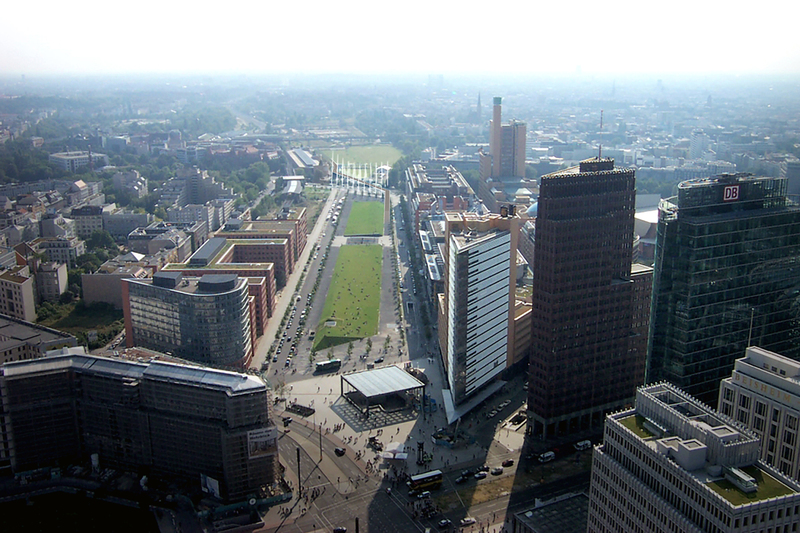 The bridge forms a visual and physical connection between two linear parks previously separated by the Landwehrkanal and two highways. The deck is supported by an array of pylons which line the banks of the canal at the end of each park. The pylons are raked at varying inclinations such that the array warps from near vertical at one side of the park to a raking position across the Canal at the opposing side. This distinctive arrangement directly reflects the language of Tilla Durieux Park with its transitional gradients, warping sculptural lawns and signature giant see-saws. 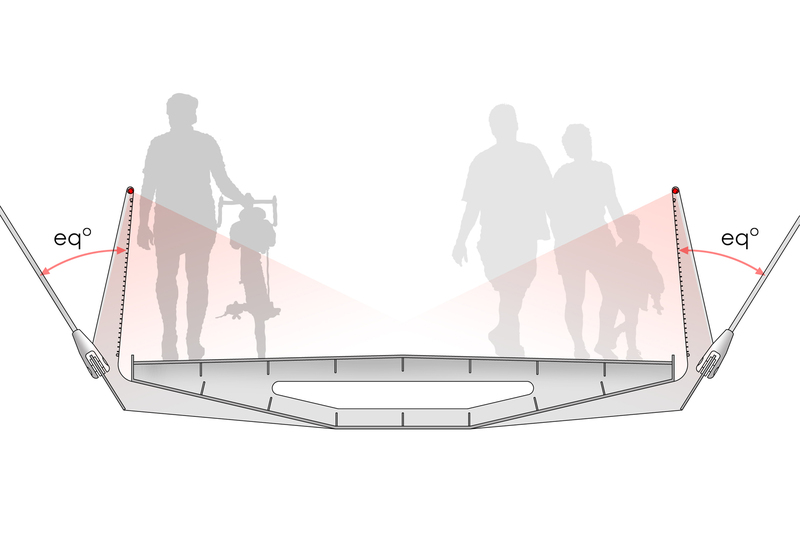 The footway crosses the Landwehrkanal on an extremely exaggerated skew, following a plan trajectory that is almost parallel to the canal being crossed. 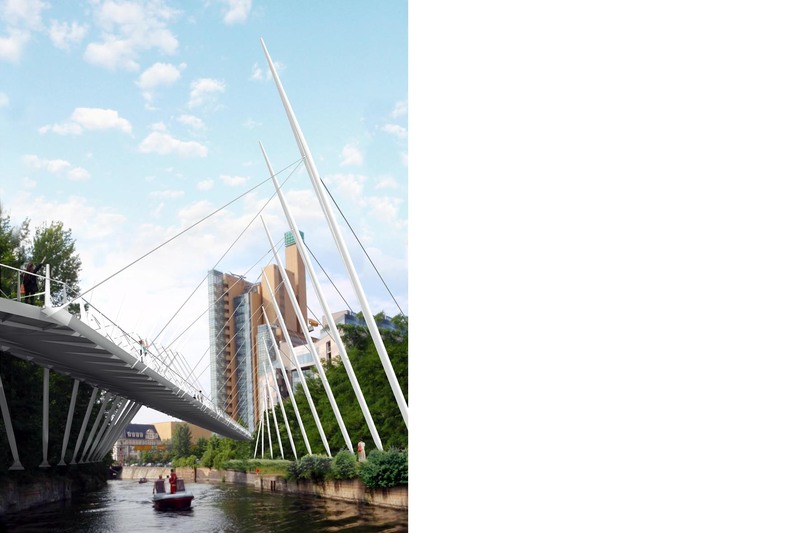 Pedestrians are cradled above the water in a valley of pylons and stays and can engage with the space between canal banks in a more meaningful way than would be permitted by a more orthogonal umbilical crossing of the water.